Many libraries and museums have adapted to the current information climate, working with Google, Facebook, Twitter and iTunes to deliver information for their users. Many have not. Google This! describes the variety of free or nearly free options for social media, and shows how libraries are adapting, from the Library of Congress to small public libraries. The author presents conversations with social media innovators to show how their experience can create success for your institution's library. 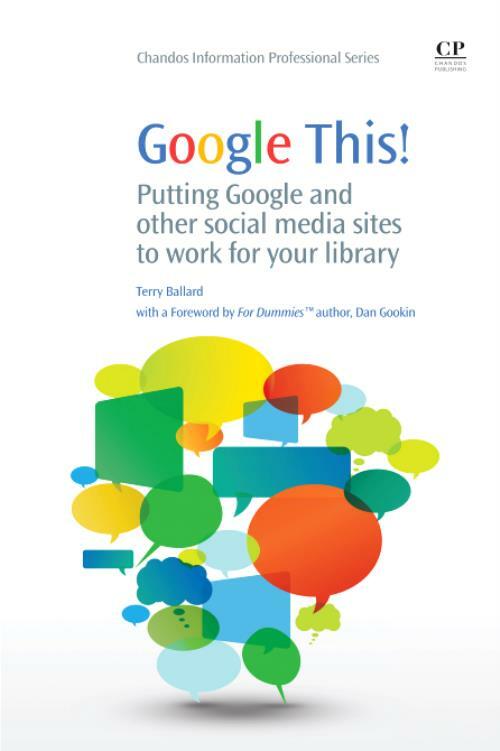 Chapters cover important aspects of social media for libraries including: how they relate to the internet; web services such as Google Custom Search, Facebook and Twitter, Flickr, iGoogle, and more; electronic books; discovery platforms; and mobile applications. The book ends by asking: Where is this all going? Chapter 1: What does the Internet have to do with my library? Chapter 13: Where is this all going?